Olaparib (Lynparza) is an inhibitor of human poly (ADP-ribose) polymerase enzymes (PARP-1, PARP-2 and PARP-3). Lynparza is indicated as monotherapy for patients with relapsed BRCA-mutated high-grade serous epithelial ovarian, fallopian tube, or primary peritoneal cancer who are in response to platinum-based chemotherapy. Olaparib blocks repair of single-strand DNA breaks by binding to the active site of DNA-associated PARP, preventing the enzyme’s dissociation from the DNA. 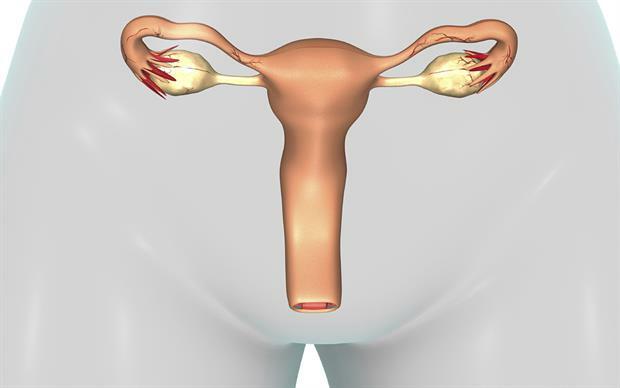 Study 19 was a randomised, double-blind, placebo-controlled phase II trial involving 265 patients with serous ovarian cancer, including fallopian tube or primary peritoneal cancer, who had been treated with at least two platinum-containing regimens. A total of 136 patients were assigned to the olaparib group and received 400mg twice daily; the other 129 received placebo. Progression-free survival was significantly longer with olaparib than with placebo (median 8.4 months vs 4.8 months; hazard ratio for progression or death 0.35, 95% CI 0.25–0.49, p<0.001). Patients taking olaparib had a lower risk of disease progression regardless of progression-free survival. Patients in the olaparib group experienced more side-effects than those in the placebo group, most commonly nausea (68%), fatigue (49%), vomiting (32%) and anaemia (17%). Preliminary NICE guidance does not recommend funding of Lynparza on the NHS. Treatment can be prescribed privately or for personally funded patients.